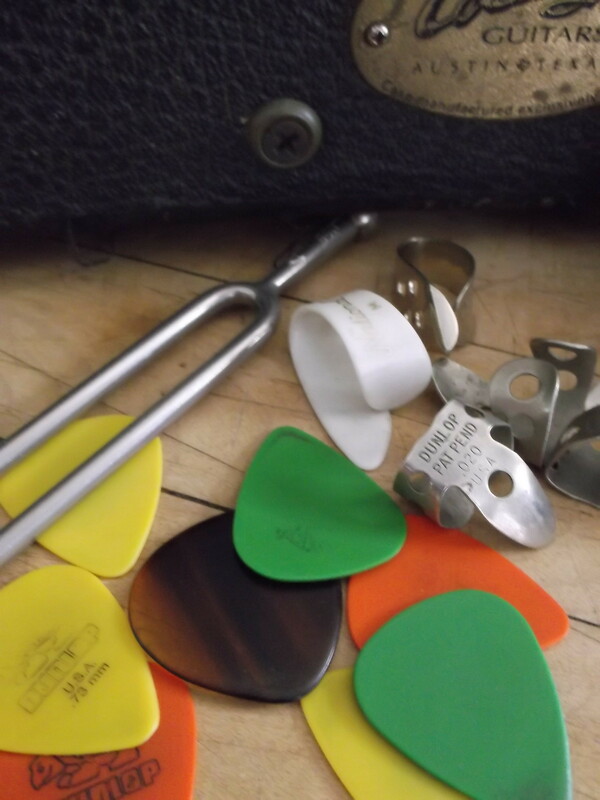 Within guitar shops across America, you will find small plastic cases by the register. Stacked, arranged, jumbled. Maybe one large case instead with over a hundred choices. Pick selections may seem dizzying. Tortoise shell, multi-colored, plastic, carbon fiber, bone . . . where to start? American Toolbox recommends Dunlop. 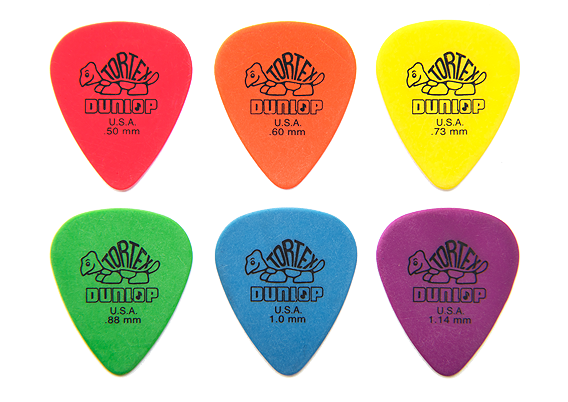 After decades of picking, our staff still carry and use Dunlop daily. Usually two or three for a buck, you can afford to carry half a dozen to the Bluegrass Circle. Share, experiment, learn, enjoy. 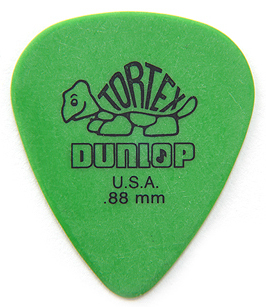 Moving over to mandolin, I’ve settled on a thicker .88 pick. Swapping mid-song into a lighter .60 sometimes. My mandolin mentor smiled yesterday when he heard my new choice. A harder pick is quieter is on the strings? This choice developed because I carry a pick variety and experiment with different thicknesses. Look for the Dunlop name. Select a dozen in different colors / gauges. At a few cents a piece, there will not be any teeth gnashing as they disappear, as picks seem to do. Sure, a $50 carbon fiber pick produces a softer, more expressive sound. It took decades to appreciate the nuance in tone. An expensive pick for a novice. Would you teach your kid to drive in the Porsche? This entry was posted in Music, Product Review and tagged A pocket full of Dunlop, american made guitar pick, Dunlop green pick, Dunlop Tortex, Dunlop Tortex® Standard .88mm instrument pick, guitar pick, how to choose a guitar pick, jsergovic, made in usa guitar pick, mandolin pick, moving flagstone in gmc pickup truck, My mandolin mentor. I SEE A TUNING FORK! Yes. I’m a non-traditionalist, and believe acoustic instruments should be in tune. Even when playing bluegrass.